This chapter defines the key documents that are used in producing the Technical Manual. Prices are rough estimates. Popular sources for out of print titles are Amazon, Barnes & Noble, and Ebay. By clicking on the picture you will be taken to Amazon to see if they have the book in stock, and what current prices for these books might be. If you buy it through our site, Pagoda SL Group get a referral fee which we use towards funding this web-site. Support us, and buy through this site. All books are listed in random order. The Restorer's Guide to 300SL, 190SL, and 230/250/280 SL Models to 1971. This glossy picture book has nice shots of some elegant cars. Not always accurate in datails but still a pretty addition to a library. 112 pages, includes tables of running production changes, paint and interior scheme codes. Photos and text about SL's from the 300 SL to SL600 and the SLK. 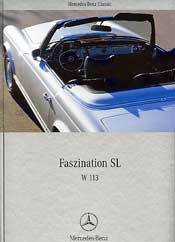 128 pages, 12 pages exclusively about W 113 cars. 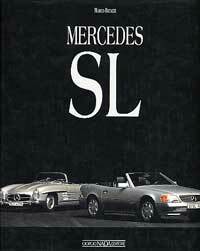 Covers five decades of SL cars. Emphasizes marketing aspects for collectors. Articles by various authors relating to collecting, purchase, racing, road rallyes, and more. Tables, color photos, hard cover. 368 pages. Price $65. Perhaps the most accurate and comprehensive book on the subject. Includes detailed history of the planning and development of the SL cars; extracts from company memos and papers, photos of early design ideas, and more. Comprehensive tables of specifications, data codes, running production changes, paint and interior schemes, more. GERMAN LANGUAGE ONLY. 280 pages. Euros 45. A three volume set. Volume 1: The 1940's and 1950's; Volume 2: The 1960's; Volume 3: The 1970's. 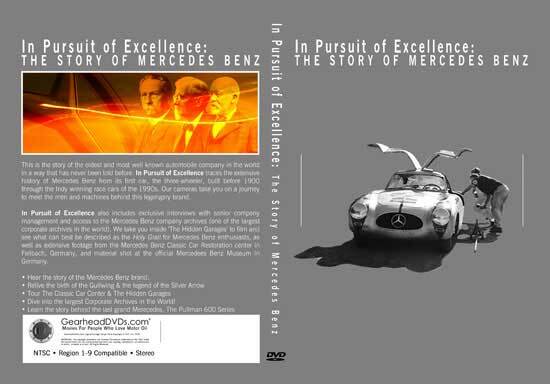 Volume 2 covers the W 113 Pagodas as well as the 600 and other Mercedes of the 1960's. Information such as options, production figures, buying tips, and more. About 150 pages, Motorbooks International. About $25 each volume. 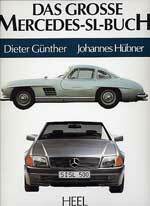 Review of the development and history of the Mercedes SL cars and their historic predecessors including the SSK of the 1920's and 30's; the 300 SL, 190 SL, and the W 113 and R 107 Cars. Illustrations (cars are mostly RHD). Does not cover technical details, options, color codes in any depth; 190 pages, Crownwood Press, 1992. Collection of reprints of 53 articles from Road & Track, Car & Driver, and several other auto magazines which appeared from 1963 to 1983. (Earlier edition is: Brookland's Mercedes 230/250/280 SL, 1963-1971. 29 articles, 1963 to 1977, 100 pages.) Most articles are reviews or road test results; some compare performance, handling, finish to other contemporary cars; some performance and test result tables. Nice to know the impression these cars made in their own time. 174 pages, black and white. A Mercedes publication of the history and glamour of the W 113 roadsters, many vintage photos from the DC archives, includes copies of some historic documents and drawings. Text by G�nter Engelen. English and German. Hard cover, thin volume, glossy paper, color photos; unusual 9" x 12" format (22 cm x 32 cm). 70 pages. Published 2003. Was available at the 2003 Essen show, may not be in regular distribution. About $15. 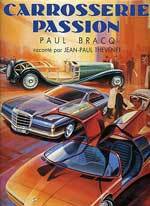 Beautiful book dedicated to the automobile art of Paul Bracq, the W 113 designer. In French with full color drawings, large format; hard cover. 260 pages. Editions d'Art J.P. Barthelemy, published in Limited Edition of 3,000 numbered copies. 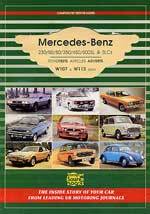 One in the series of Great Marques books, hard cover history of selected stylish Mercedes cars, some racing history; W 113's mentioned with photo; on glossy paper, color photos. 96 pages, coffee table size. Published 1980 by Octopus Books Ltd (UK). Both a practical guide and a collectible, this hard cover volume covers specifications, troubleshhooting, maintenance of about 25 models including the 230/250/280 SL's; 7-color peek through pages show "X-Ray" views of a typical engine. 282 pages. Published 1970. Long out of print. Available used, some in worn condition; also 1994 soft cover reprint. Monthly magazine available on newstands and by subscription. 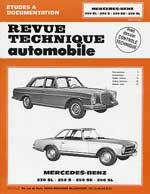 The first newsstand publication devoted entirely to Mercedes cars and their owners. Mercedes Enthusiast website. Hard cover Italian language book dedicated to the MB SL's from the 300 SL Gullwing to the R129 series, including 40 pages on the W 113 cars. 163 pages. Large format, covers all MB SL's from the 300 SL Gullwing to the R129. Color and B/W. 186 pages. Soft cover. German language. Workshop manual, with service advice. Soft cover, 106 pages, Black and White. Language: French. Essential Mercedes SL, 190SL & Pagoda Models. Photos, including some historic archive photos, text about the heritage and development of the two SL chassis covered. "Pagoda" in the title and in the book refers to W 113 models. Does not cover R 107 cars. 80 pages. Priced at $20. Compilation of road tests, articles, and ads of W 113 and R107 cars; eleven articles about W 113, and sixteen about the R107 series. Black and White, 100 pages. Soft cover. Transport Source Books Ltd. 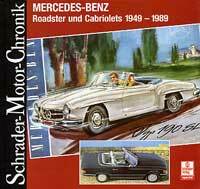 Photos and text about Mercedes SL's from the earlier pure sports cars to the 300 SL and others.